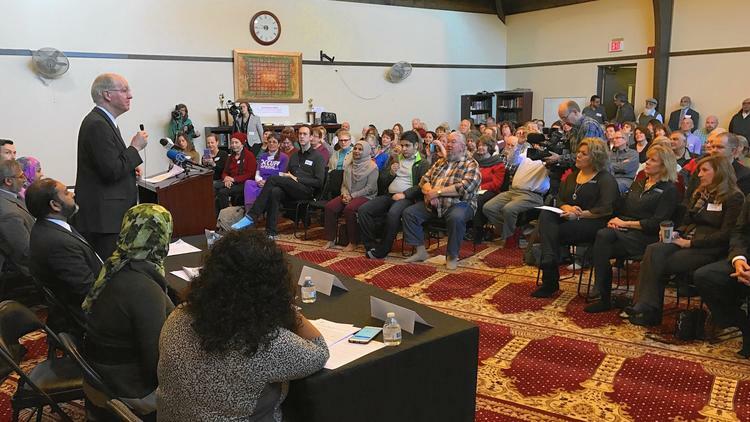 There’s a reason Canada approved the anti-Islamophobia M-103 directive against criticism of Islam (erroneously called ‘Islamophobia’)…it’s the camel’s nose under the tent…the first step toward making sharia law the law of the land…and it’s being financed by one of the richest, most far left subversives on earth- George Soros. Gee, will ALL the democrat crybabies have bagheads on their arms at the Presidential address to congress tomorrow? 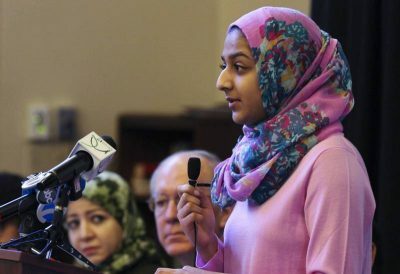 17-year-old Muslim baghead Samia Abdul-Qadir (right) was invited by U.S. Rep. Bill Foster (D-IL), after the Naperville North High School junior participated in Foster’s recent community discussion at the Islamic Center of Naperville on the local effects of the president’s attempts to ban travel from several Muslim-majority countries. Each member of Congress is allowed to invite someone to the president’s annual address, which is called the State of the Union after the president completes his first year in office. 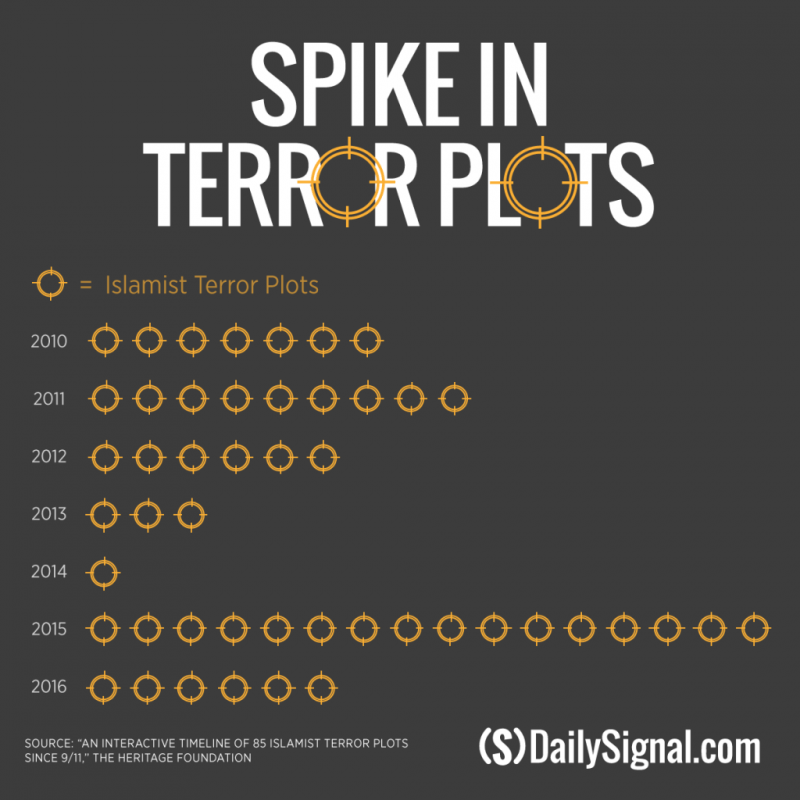 MUSLIM Jihadi Terrorist Attacks in US More Than Double in one year; Tactics & Targeting Expanding. 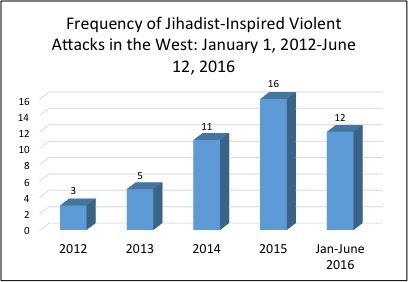 Intel Center The number of jihadi terrorist attacks in the US is now at the highest it has ever been and is continuing to rise based on attacks tracked in the IntelCenter Database (ICD). The current rate of attack in 2016 is at one attack every 37 days. In 2016 there have been nine attacks as of 28 Nov., which more than doubles the previous record of four attacks in 2015. Seventy-one percent of attacks in the US since 2002 have occurred in the past four years. Small arms and bladed weapons were the most common tactics, which was driven by a significant increase in inspired attacks. 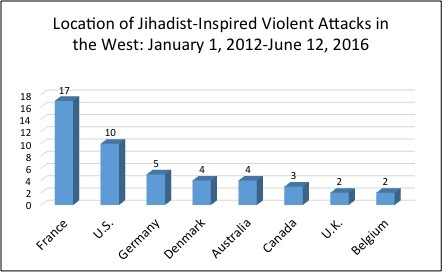 The rise in inspired attacks also resulted in a shift with 62% of attacks occurring in areas not previously thought to be at significant risk from terrorism. Military/Police and recreational sectors were the most frequently targeted with a more detailed breakout putting police personnel, military facilities and civilians the most at risk. New York had the most attacks during the period, however, the attacks were spread out over a total of 14 states. The dramatic rise of attacks is expected to continue to climb throughout 2017 with both inspired and directed attacks occurring. In the new environment, inspired attacks are expected to remain the greatest in volume with the largest geographical spread with directed attacks being less frequent and favoring high-profile targets in traditional locations such as New York City and Washington, DC. However, it is incorrect to presume that inspired attacks are confined to lower casualty counts. As both the Nice and Orlando attacks in 2016 demonstrated, a well-executed low-tech inspired attack can result in far more casualties than some sophisticated directed attacks. Bladed weapons, small arms and vehicular assaults are expected to be the most common inspired tactics with VBIEDs and other more sophisticated tactics largely remaining within the toolbox of directed plotters. Police and military personnel are expected to remain the most at risk group for inspired attacks. • New York had the greatest number of attacks at 14% (3) with California, Massachusetts, New Jersey, Ohio and Texas tied at 9% (2). Arkansas, Florida, Michigan, Minnesota, North Carolina, Pennsylvania, Tennessee and Virginia each had 5% (1). • The most commonly used tactic was Small Arms at 38% (8) followed by Bladed Weapons at 24% (5) and IED at 19% (4). Vehicular Assault came in next at 9% (2) followed by Suicide Bombing and VBIED at 5% (1). Bladed Weapons and Vehicular Assault are expected to continue to rise as the fastest growing method of attack based on current US and global trends. • A total of 86 people were killed and 446 injured. The average number of people killed per attack is four and the average number injured is 22. • The most targeted sector is Military/Police at 29% (6) followed by Recreation at 19% (4). Aviation, Civilians and Education came in next at 10% (3) with Shopping, Government, Rail, Restuarant and Political all coming in at 5% (1). • A more granular look at targeting showed that Police Personnel, Military Facilities and Civilians were the most targeted at 14% (3). Sporting Event and Educational Facility came in next at 10% (2) with the remainder of attacks tied at 5% (1) for Civilian Airliner, Airport, Government Facility, Landmark, Large Gathering, Nightclub, Restaurant and Train Station. 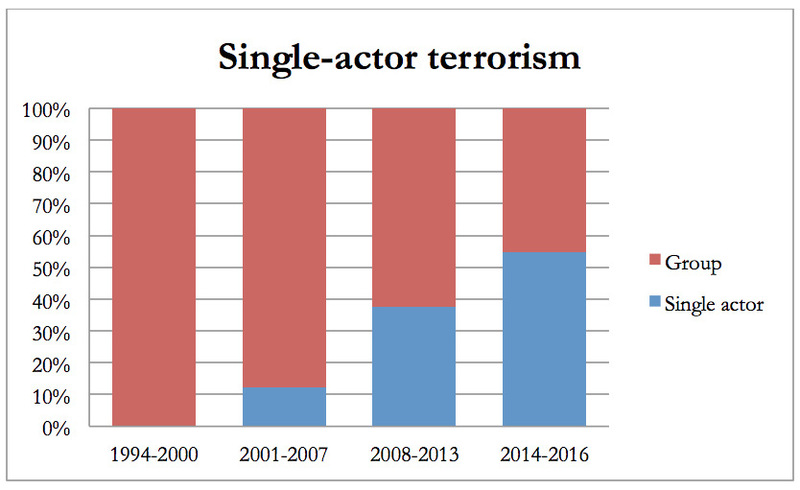 • If you look at just 2002 – 2014, only 25% of attacks occurred in areas not previously thought to be at significant risk of terrorism. However, from 2015 – 28 Nov. 2016, the number leaps to 85%. 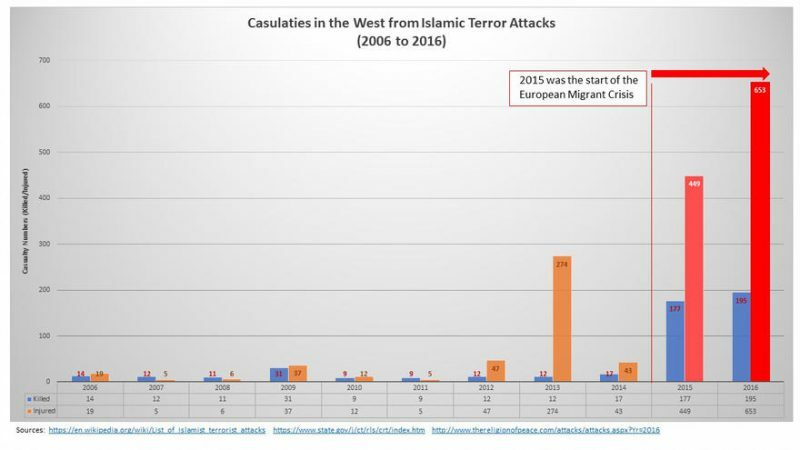 This concerning development represents a significant shift in where terrorist attacks are occurring. 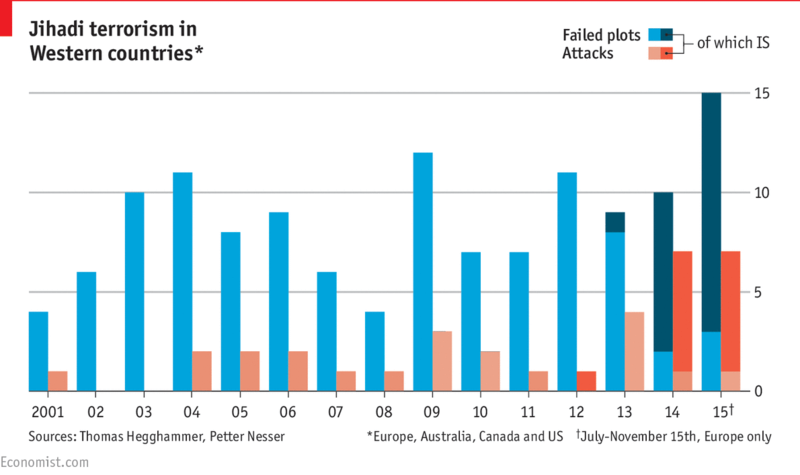 Historically, significant attacks by jihadi groups were almost always focused in high-profile areas. This meant the focus of counterterrorism efforts could be concentrated in major cities where there were typically more resources available. While the threat of attacks in smaller cities and towns, could not be ruled out, there was a much lower risk of such attacks occurring. This is no longer the case. The recent wave of inspired and supported attacks has made a reality what many in counterterrorism feared and talked about for decades. The Trump administration may soon back Israel on its claim of UN bias and pull out of the organization’s Human Rights Council,as it regards the Council as being inherently anti-Israel, the main reason for the consideration of pulling out of the international body. 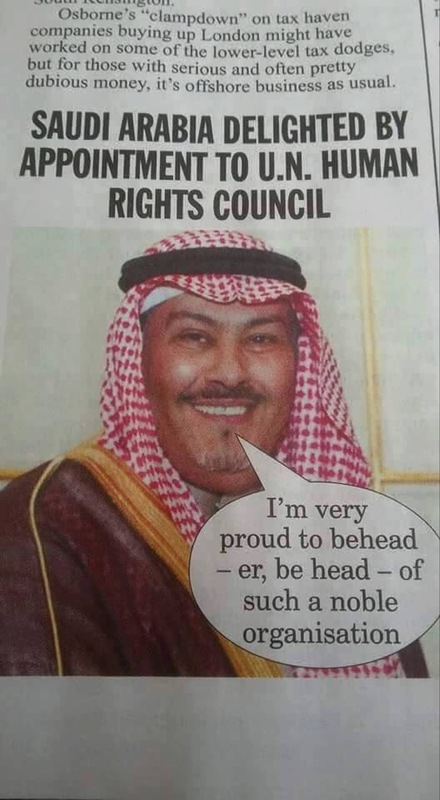 JPost Not to mention that some of the world’s worst abusers of human rights, Iran and Saudi Arabia, have been appointed to head the Council. In private conversations, Secretary Tillerson has expressed doubts about the effectiveness of the Council. State Department spokesman Mark Toner did not confirm whether the issue was being considered and would only say that “our delegation will be fully involved in the work of the HRC session which starts Monday. 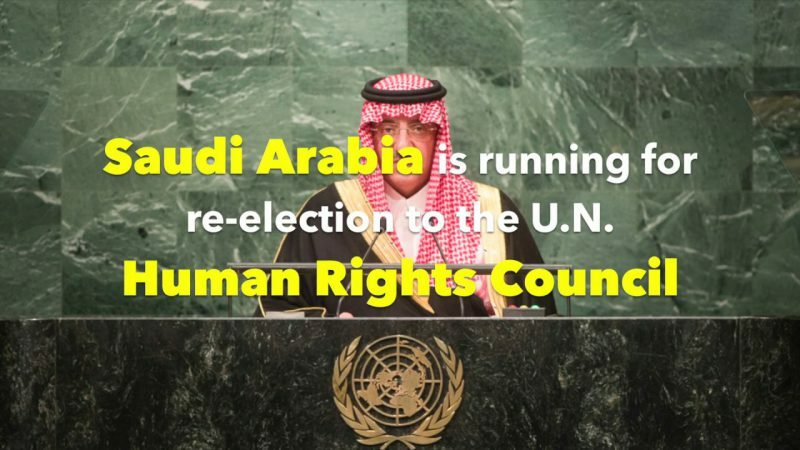 Since its creation in 2006, the UN Human Rights Council has been persistently criticized by the US for its biased treatment of Israel, which has been condemned more than any other country, including persistent human rights abusers such as Iran and Syria. Under former US president George W. Bush, the US initially refused to seek a seat on the 47-member body and then withdrew from it altogether in 2008. Former US president Barack Obama reversed that position upon entering office, believing that the UNHRC could best be changed from within. During the Obama administration the US held two consecutive terms on the council, from 2009 to 2015. It is now serving a three-year membership term that began in 2016. The US has often been the sole country to vote against resolutions condemning Israel. 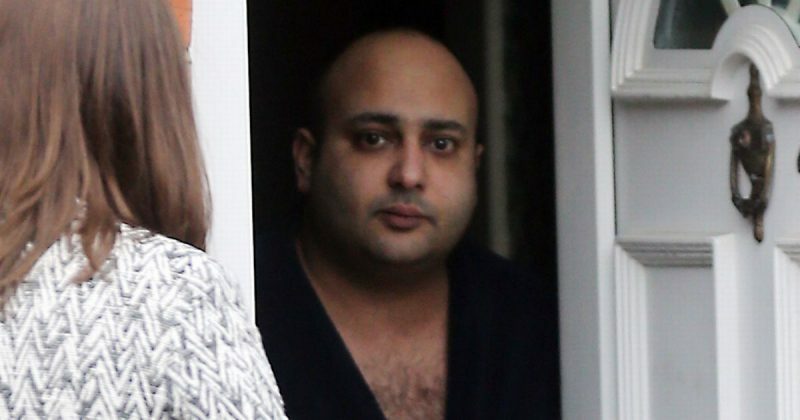 Rezzas Abdulla (below) left little Layla-Jean, who was just nine months old and in her stroller, covered in saliva after the shocking street attack in South Shields last January. 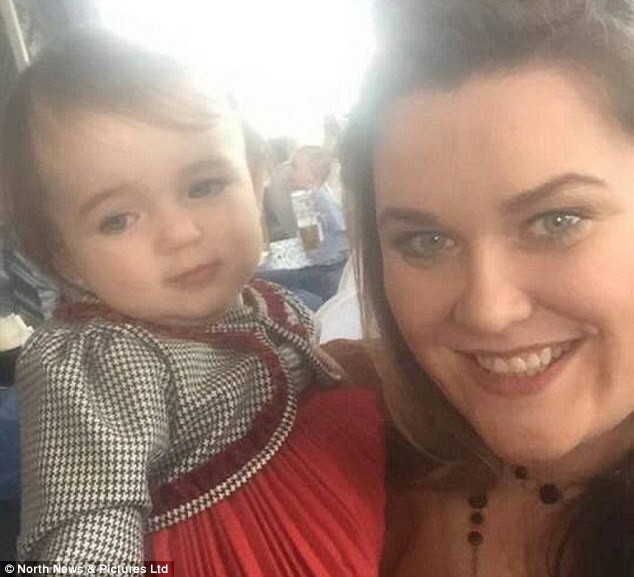 The baby’s mother, hairdresser Rebecca Telford, 25, was out walking with the baby when this Muslim vermin approached without warning. 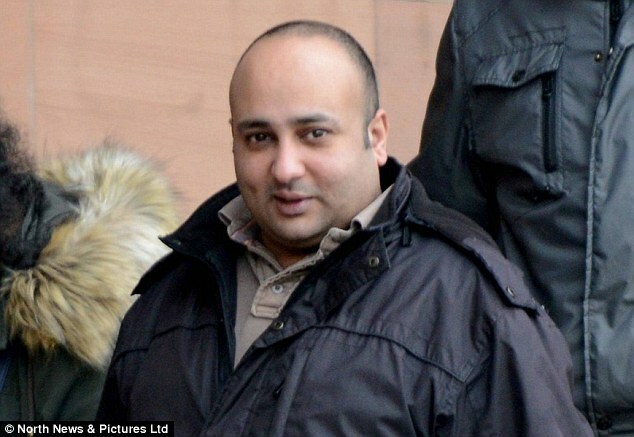 The court heard that when the baby’s stunned mother (below) confronted Abdulla, he told her to ‘shut the f*** up’ and walked off. Miss Dowling told the court the spit was ‘sprayed around’ the baby’s face and a shocked passer by gave her a tissue to clean up. Abdulla, 33, who has two previous convictions for race-hate attacks on white women, was later tracked down through CCTV. He was convicted of racially aggravated common assault after a trial at South Tyneside Magistrates’ Court, which he did not attend. Sentencing him, Recorder Darren Preston said: “There is something viscerally horrible and disgusting about spitting at someone, particularly in the face and to do so to a baby was particularly disgusting, let alone, to make things even worse, when your motivation for doing so is racial hatred. In spite of that, Abdulla was sentenced to ONLY eight months imprisonment, SUSPENDED for 18 months, with rehabilitation and mental health treatment requirements. The judge said ‘society in general’ would be better served by Abdulla being allowed to continue his psychiatric treatment programme. Ms Telford said ‘I am not racist at all but I honestly think if it was the other way round and I had been abusive towards him, then I would have been treated differently. 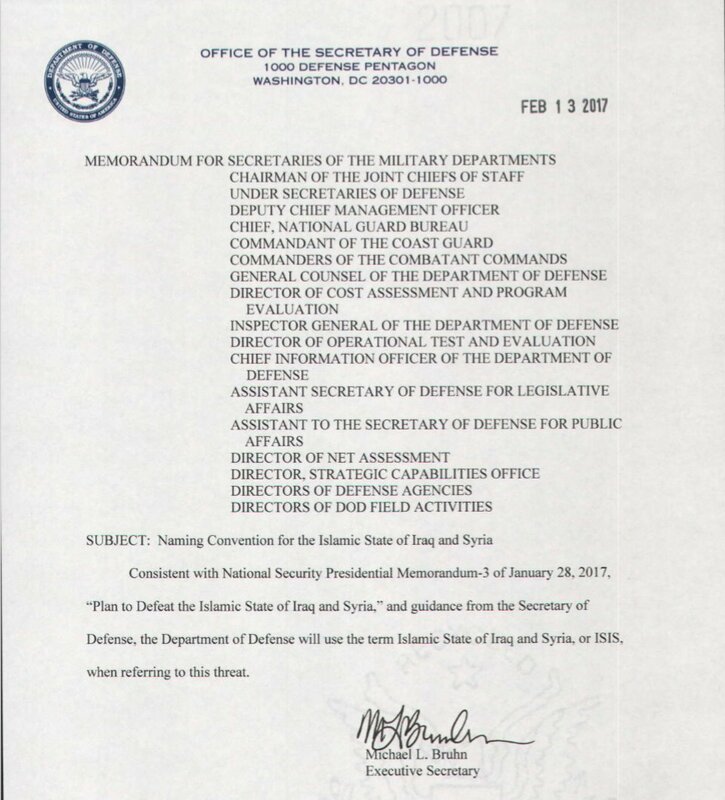 In other words, references to the Islamic State of Iraq and Syria (ISIS) will no longer hide its “Islamic” roots as American and European leaders have been trying to do. 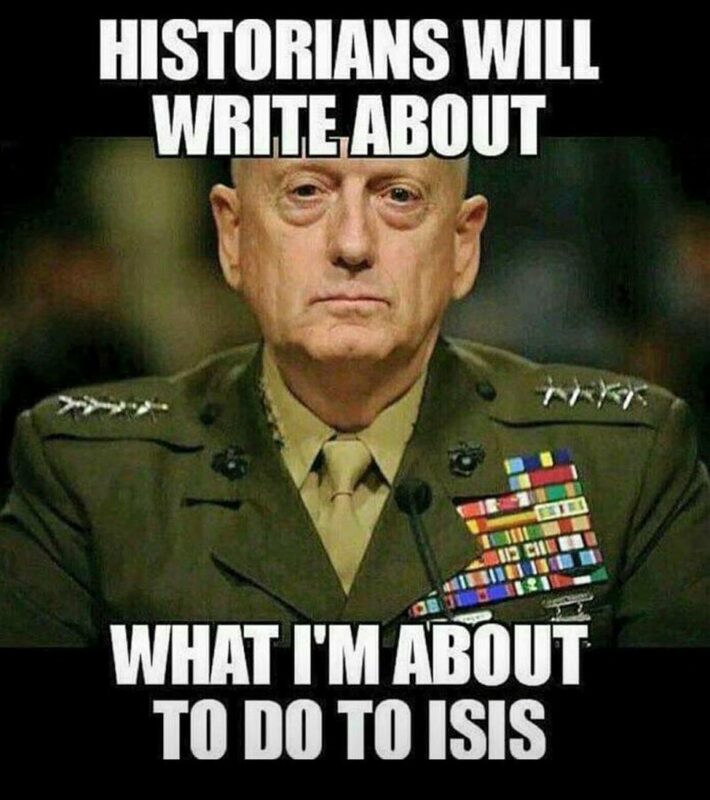 Thank you, General Mattis. 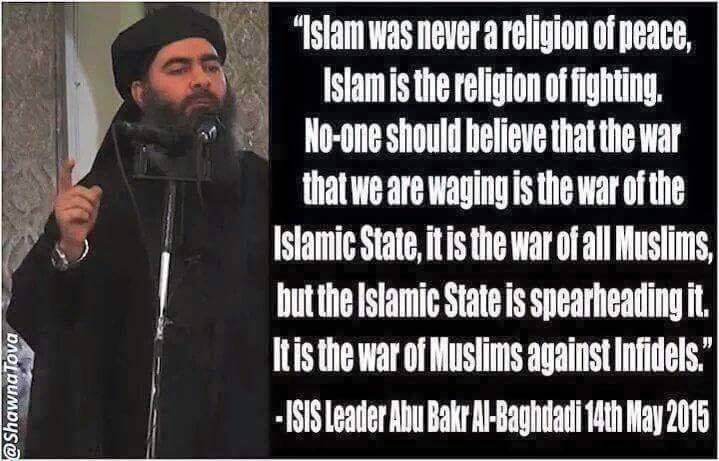 FOX News The Pentagon has officially declared the name of the terror group the United States and its allies have been fighting for years is, in fact, ISIS. 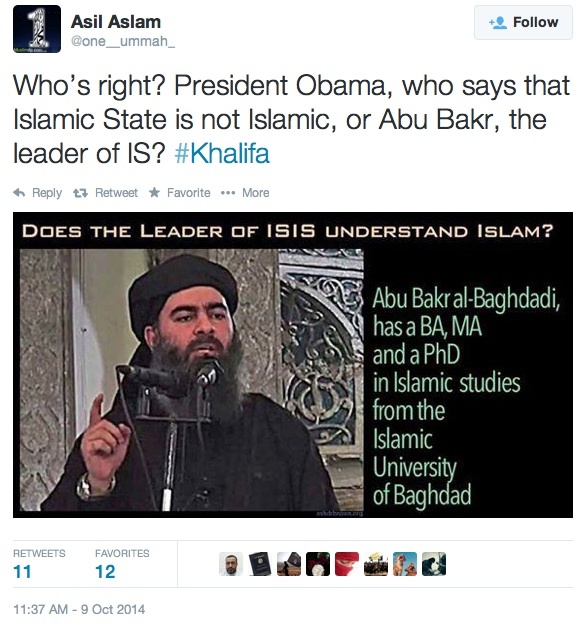 While “ISIS” has been widely accepted for years as the common acronym for the Islamic State, then-Secretary of State John Kerry and others in the Obama administration insisted for years on using “ISIL” (Islamic State in Iraq and the Levant -including Israel) or “Daesh,” the acronym formed using Arabic letter. 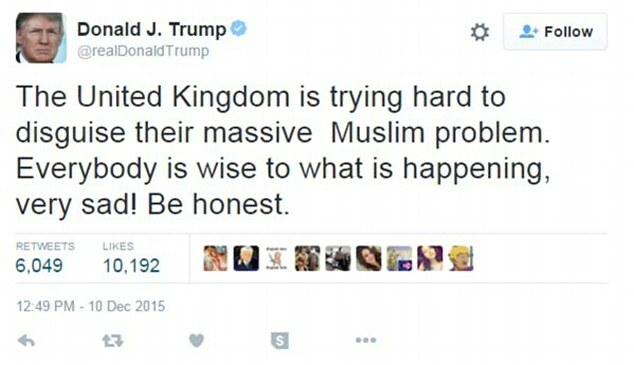 He didn’t use the phrase because he insisted, “loose language that appears to pose a civilizational conflict between the West and Islam, or the modern world and Islam, then we make it harder, not easier, for our friends and allies and ordinary people to resist and push back against the worst impulses inside the Muslim world,” Obama told The Atlantic’s Jeffrey Goldberg. Obama also didn’t want the fight against ISIS, Al Qaeda or the Taliban to appear to be a “clash of civilizations” a phrase made famous by the late academic Samuel Huntington in an article by the same name. Instead, Obama and his administration used the phrase “violent extremism” to describe the terror threat. YES WE CAN? 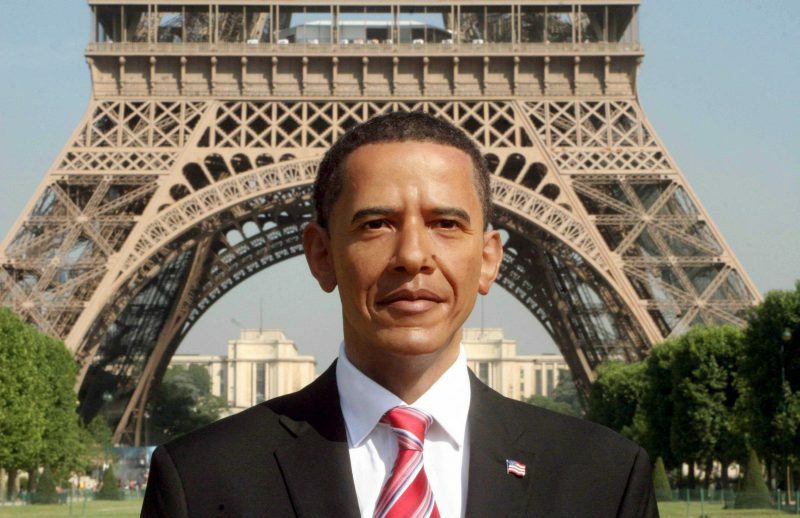 Barack Hussein Obama for president…OF FRANCE! Oh, no you can’t…but we Americans so wish you leftist moonbats could. We’d even spring for his airfare to France, anything to get his smug face out of ours. 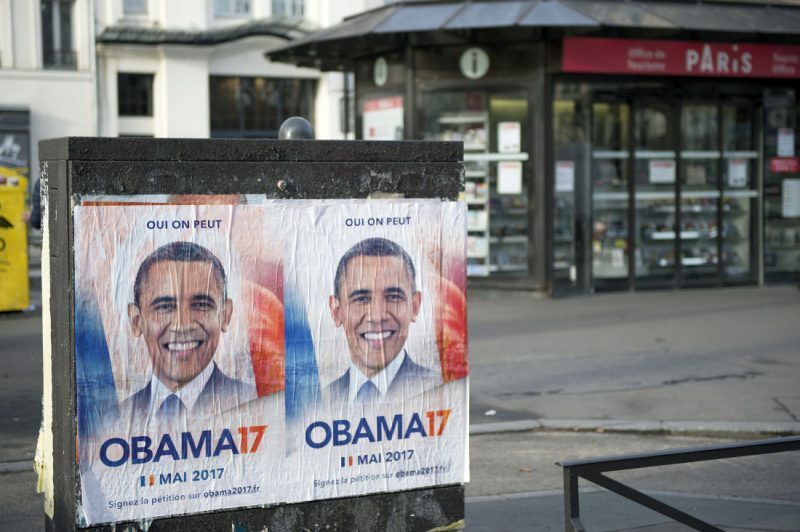 ABC News Some Barack Obama devotees in France aren’t happy with the homegrown contenders vying for the country’s presidency, so they’re hoping that the former U.S. president will step in and run for office this spring. 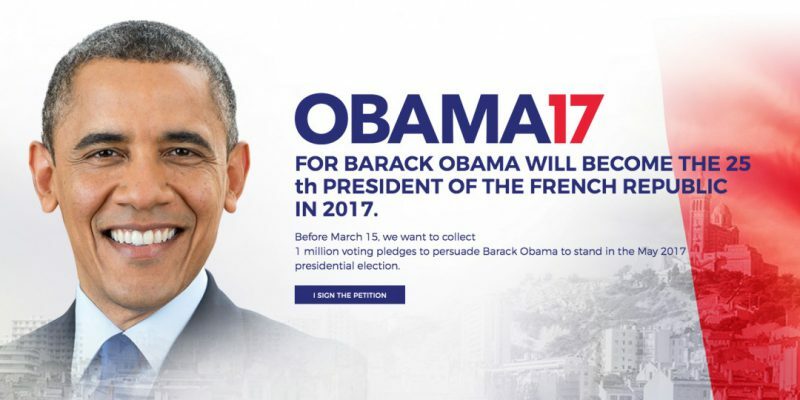 “Obama17” posters have been spotted plastered across Paris, urging citizens to visit a website and sign a petition to persuade Obama to enter the race. The goal is to get 1 million people to sign the petition. Why Obama? “Because he has the best resume in the world for the job,” reads the website, which is in no way connected to Obama. While this all sounds good, there is one problem. The French president needs to be, well, French. 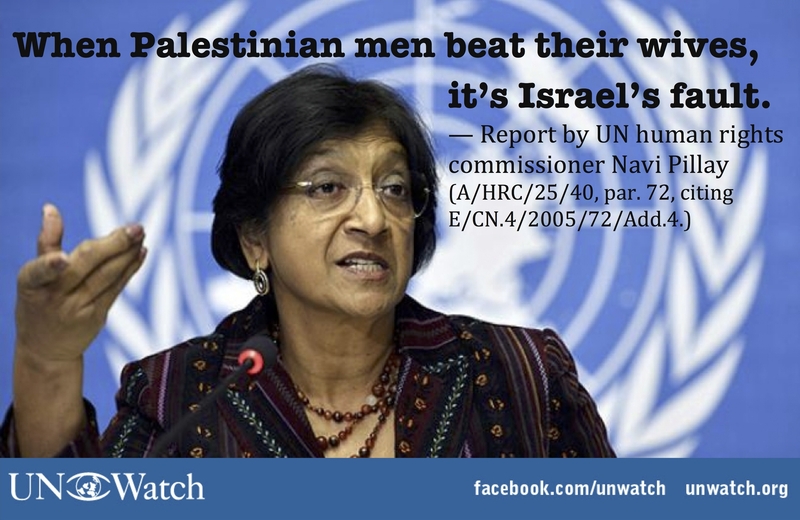 And Obama is not. The website also says Obama could be an antidote to the popularity of right-wing parties in the country. “At a time when France is about to vote massively for the extreme right, we can still give a lesson of democracy to the planet by electing a French president, a foreigner,” reads the website in French. 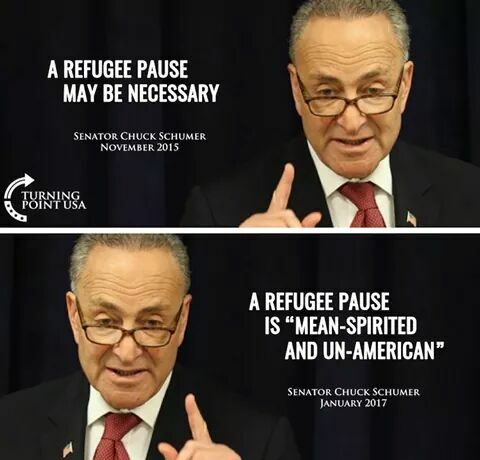 Where did he find this guy…in the Obama swamp? 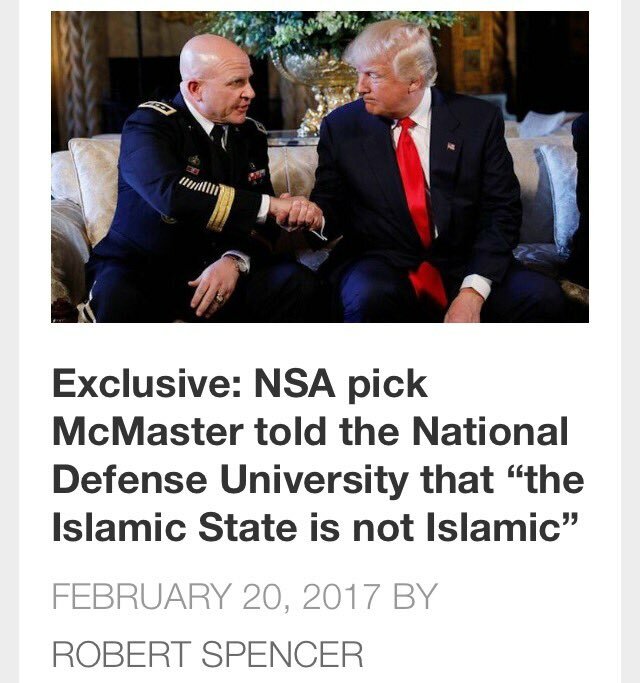 President Trump’s newly appointed national security adviser, Lt. Gen. H. R. McMaster, has told his staff that Muslims who commit terrorist acts are perverting their religion, rejecting a key ideological view of other senior Trump advisers and signaling a potentially more moderate Obama regime-like approach to the Islamic world. 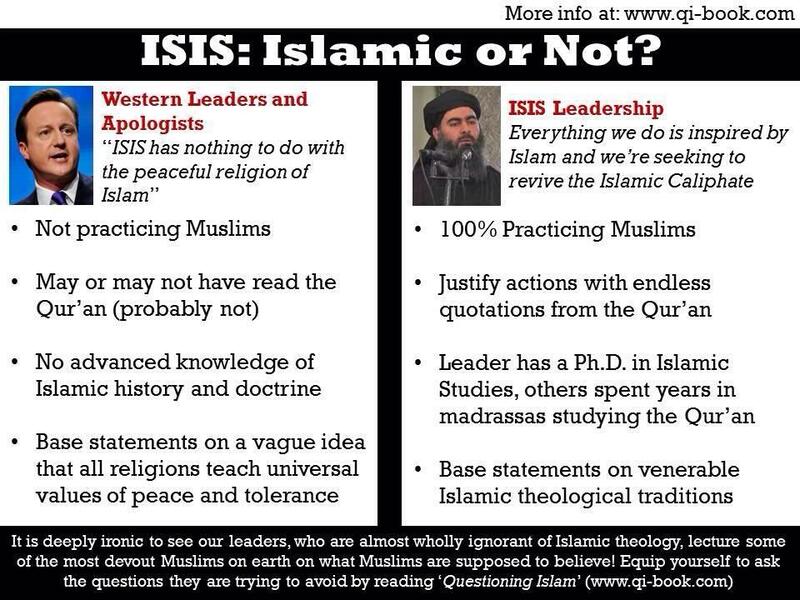 New York Times McMaster, told the staff of the National Security Council on Thursday, in his first “all hands” staff meeting, that the label “radical Islamic terrorism” was not helpful because terrorists are “un-Islamic,” according to people who were in the meeting. That is a repudiation of the language regularly used by both the president and General McMaster’s predecessor, Michael T. Flynn, who resigned last week after admitting that he had misled Vice President Mike Pence and other officials about a phone call with a Russian diplomat. It is also a sign that General McMaster, a veteran of the Iraq war known for his sense of history and independent streak, might move the council away from the ideologically charged views of Mr. Flynn, who was also a three-star Army general before retiring. Within a day of his appointment on Monday, General McMaster was popping into offices to introduce himself to the council’s professional staff members. The staff members, many of them holdovers from the Obama administration, felt viewed with suspicion by Mr. Trump’s team and shut out of the policy-making process, according to current and former officials. In his language, General McMaster is closer to the positions of former Presidents Barack Obama and George W. Bush. 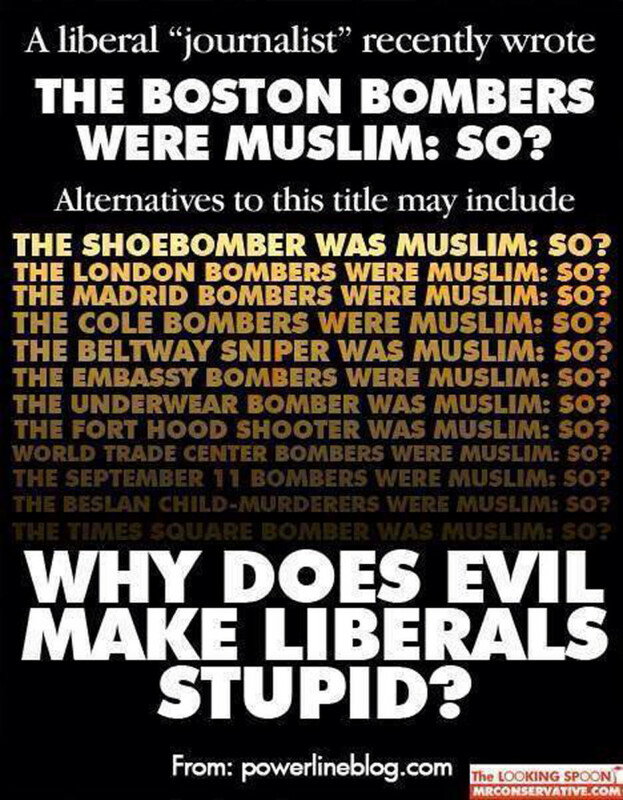 Both took pains to separate acts of terrorism from Islamic teaching, in part because they argued that the United States needed the help of Muslim allies to hunt down terrorists. 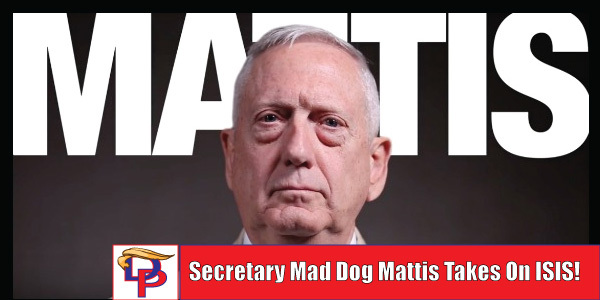 “This is very much a repudiation of his new boss’s lexicon and worldview,” said William McCants, a senior fellow at the Brookings Institution and the author of “The ISIS Apocalypse.” “McMaster, like Obama, is someone who was in positions of leadership and thought the United States should not play into the jihadist propaganda that this is a religious war,” Mr. McCants said.